Did you know that according to a national survey, over 75% of consumers that receive marketing postcards in the mail, not only read them but keeps them for weeks or more? 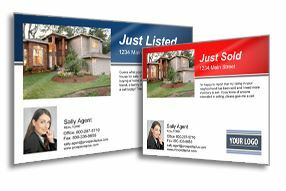 With this in mind, it just makes sense for real estate postcards to be a part of your marketing strategy. 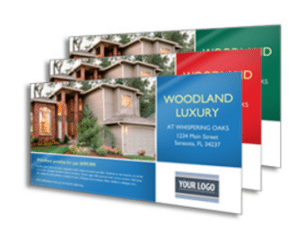 The following are three tricks to help you begin winning big with postcard marketing. The intent of direct response marketing is to elicit a measured and often emotional response from your prospects. Methods used to trigger this response include a call to action, a question or something that compels your audience to reply. A great example of direct response marketing using a question is shown in one of our Expired Postcards. The postcard reads, “Did you know more than 90% of people who have had the misfortune of having their listing expire change agents to help improve their ability to sell sooner rather than later?” Quoting statistics is a great way to lend credibility to a point you are making. Another direct response option is educating your prospect, by raising their awareness and showing your expertise. An example of this is shown in one of our Market Quote Postcards. It reads, “Statistics show the typical FSBO home sold for $210,000, compared to $249,000 for agent-assisted home sales. A professional will net you more!” Again, the use of statistics helps validate the statement. The last direct response example uses a “call-to-action” that gives your prospect an exciting reason to contact you that benefits them personally. An example of this is demonstrated in our Free Offer Postcards. These postcards contain offers for a “Free Home Market Analysis”, “Free Home Lists” or a “Free Home Equity Analysis”. Providing exactly what the consumer is in need of and at no cost to them makes it easy for them to raise their hand. Keep in mind, although you may be tempted to send a postcard with a beautiful image and/or saying, because it’s simple and you know it will be readily accepted, be careful it’s not your only choice, specifically over compelling direct response content. Most of all, remember a postcard has limited, valuable real estate available on the front and back. So make the most of this space with the right images and copy to drive home your point and gain your audience’s attention. If you decide to create your own postcard, make sure to ask yourself the question, are you using copy and images that will evoke a response from your prospects? If you speak to the heart of what your target audience is thinking and feeling, you will create a connection that makes people want to reach out to you. Begin your strategic marketing by sending out compelling postcards to a designated area and then do it, again and again. Because this is how often you need to “show up” in your prospect’s mailbox and in their lives to make an impact. I can not stress this strategy enough due to the positive impact it will have over time. In fact, among other things, it signals to your prospects that you have a quality brand and service. University of Wyoming’s Anthony McGann and Raymond Marquardt researched the effects of repeat advertising. They found that businesses that advertised with high rates of repetition tend to be rated as “high quality” in consumer report studies. In addition, the results of another study published in the Journal of Consumer Research showed that consumers think that products and services repeatedly advertised are “good purchase choices”. Consequently don’t waste time, effort and marketing dollars on a one-hit mailing because it will not have a worthwhile return on investment or positive long-term effect. Finally, if you are not consistently seen in your targeted market through marketing, consider what message you are sending to your prospects about your level of commitment? Success comes to those who show up over and over again with the right message, the right attitude and the right promise of service. Your mailing list is not just a compiled list of names and addresses. It represents the lifeblood of your business. And it includes people that, if cared for and kept in touch with, will take care of you for your entire career. In fact, studies show that one out of twelve on this list will result in a transaction each year. This means a list of 200 will provide you 17 transactions per year. That is if you give them the attention they deserve, by consistently and effectively staying in touch. Therefore, to keep your list information organized and easy to access choose a database program. But don’t stop with inputting just names, addresses, and phone numbers, also get personal with your entries. Aren’t you impressed when someone remembers your name, asks about your children, spouse, and hobbies? This is why your database should include spouse and children’s names and don’t forget special interests, likes, dislikes, and personality styles. Begin the habit of contacting your list at least three times a year. Over time you’ll be able to feed more personal details into your database. 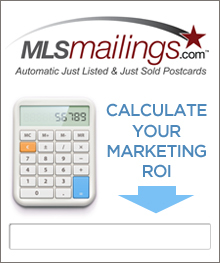 Finally, don’t forget about the mailing lists you get when you purchase a Just Listed Postcard. Every time you send a postcard out and do a radial or neighborhood search, for the perfect mailing list – that list is yours to keep. Use it to continue to build that prized book of business. Add these individuals to your database and start building a relationship with them. For more ideas on how to create a powerful database, download our Free BusinessBASE book. It’s an informative and free resource that explains exactly how to grow your database effectively. And contains information that applies to both short-term and long-term career success. Start applying these success tricks now. 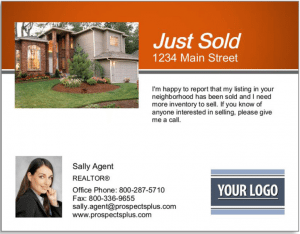 Send the Free Market Analysis Offer postcard from our Free Offer Series to at least 100 new prospects in an area where you want more listings. Need help? We are here to help you succeed. Just call 866.405.3638 for assistance! PLUS: When you have a moment…here are 3 Free things to check out that will help you CRUSH IT in 2018! Consistency is key when marketing, but agents call us every week to ask, “What should I send?” So, we put together three suggestions to get you started. Holiday Postcards: This week’s Master Marketing Schedule tip is to send your St. Patrick’s Day postcards to your sphere of influence. Agents love Holiday cards because they are timely, can be easily customized with a fun message, and the consistency (sending one per month) is just what the doctor ordered for staying top of mind. Just be sure to order the first class option for speedier delivery. Our St. Patrick’s Day postcard and Daylight Savings postcards are perfect for reaching out to that top tier of customers on your list in March. Animal II Series: There’s a reason the internet is filled with puppies and kittens. They make people smile. As our friend Darryl Davis talks about – that’s one BIG key to building rapport and making connections with people – giving them reasons to SMIILE! We’ve recently added this new series option to our offerings because of agent demand. You can look for many additional cards to be added to this series over the next few months. Market Quote Series: This series is growing as well and is an easy way to communicate some of what’s going on in the market right now, and have a little fun! Choose first-class delivery for holiday postcards, and your choice of delivery options for non-time sensitive postcards. Choose the pre-written copy – or better yet, customize the back of the card with a message of your own. You can offer an item of value, invite customers to an event such as a home buying or selling workshop, or just send them well wishes. Upload your sphere of influence list: those who know you, like you and trust you. This list is usually compiled from your friends, family, acquaintances and past customers. Statistically, if you stay in touch with these folks every month, one in twelve should produce a listing, sale or referral to you per year! If you need a list of the 250 people who should be in your sphere, head over to our resources page and dowload our BusinessBASE. Next, a fun tip to help you have more fun with your sphere and farm: Be sure to check in weekly to our Master Marketing Schedule. In the next few weeks you’ll see Pistachio Day, Dentist Day, Salesperson Day, Doctor Day, Pi Day and more. What do these all have in common? 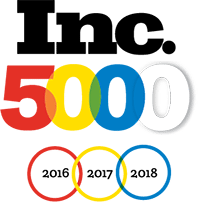 Each includes interesting and fun ways to connect with the folks in your market and differentiate yourself from your competitors! Find out how! Need more help? Call our team at 866.405.3638! They’re happy to assist! It’s certainly a whole new ball game out there isn’t it? The buyers are out in force and agents are now fast and furiously competing to both find and market new listing inventory. If EVER there’s been a time where listings are the name of the game? It’s right now. We recently did a poll to see what people were most interested in this month in terms of their marketing — the number one choice? HOW TO GET MORE LISTINGS. Enter this week’s topic! Let’s look at four tips and tools you can use to position yourself as the go-to agent for listings in your market. Systematically work For Sale By Owners and Expired listings. Make this on the top of your to-do list each week. Send them something. Get voice-to-voice. Go see them. Since they’re already motivated sellers-make sure they know how motivated you are to help them achieve the results you want! Include a PDF. Another strategy came from one of our top agent customers who, before every listing appointment, creates a pdf version of a Just Listed postcard with a picture of the potential seller’s house and all listing details and includes it in every listing presentation as an example of the marketing that she will get started immediately upon getting their signature! (Very clever!) Click here to see a selection of Just Listed Postcards you can download. 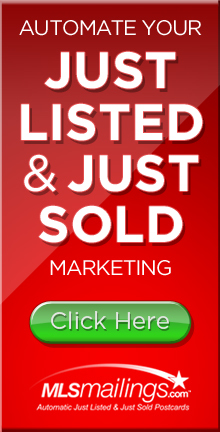 Host an Open House to generate listing leads. In areas where homes are just starting to turn over, you’ll more than likely shake out the 3-4 (or more) other homeowners in the neighborhood who have been thinking about selling. Be sure to do your homework – canvas the neighborhood well in advance of your open house. Advertise it well. Send open house cards, use door hangers or flyers to your existing sphere of influence or farm areas as well. Some agents create an open house field day – where they’ll advertise 3-6 open houses all on the same day, one right after the other. While it makes for a long day, it does showcase you as an agent who has a lot going on and knows how to get things done. I always recommend having powerful collateral pieces at your open houses as well. 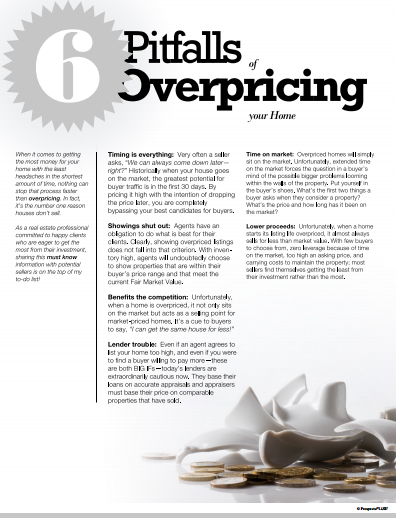 Like 6 Pitfalls to Overpricing Your Home, Saving for a Down Payment and the Cash Buyer Checklist. When you have more creative collateral than just the home listing flyer you present yourself at a higher level of service and resource. Saturate Your Target Neighborhood. Working an area or areas where you know turnover is starting to happen? Blanket those areas with a powerful inventory-needed campaign that speaks to the mindset of potential sellers and spotlights you as the agent to call when they are thinking of selling now or in the near future. 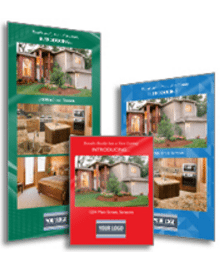 Our Listing Inventory Series is great for getting attention. Or, if you really want to turn up the heat, learn more about our Market Dominator System which takes saturation mailing and direct response marketing to a whole new level! Then be sure to follow up on that saturation mailing and make the most of your marketing efforts. Good luck getting those listings, and remember if you need help – call our marketing team at 866.405.3638! Be sure to check out our Specials Page this month as well if you haven’t already and see what’s new and get your budget-saving promo codes!